Foods for hair growth against hair loss and to accelerate hair growth. Most likely, your hair loss is a result of lack of vitamins! “In general, hair loss can be said to mean a shortage of magnesium or zinc. Hair loss and accompanying trophic changes may involve iron deficiency. Hair loss may be a shortage of silicon. Oily hair is a vitamin B2 deficiency. Reduce or deactivate strong black tea or coffee exciters that act on the nervous, respiratory and circulatory systems, increasing the release of water and important nutrients. They make it difficult to absorb the mineral salts necessary for hair health. Drink water, herbal tea and unsweetened fruit juices. Alcohol prevents the absorption of mineral substances and vitamins vital to healthy hair. Fully restrict or deactivate alcohol use. Regular physical exercise stimulates blood circulation, improves blood composition and facilitates the delivery of nutrients to all cells. Some contraceptives reduce the vitamin B and zinc content in the body. If you have noticed that your hair changes after taking these medicines, consult a doctor. For normal and faster hair growth, enough calcium, magnesium, chromium, zinc, potassium, iodine, beta-carotene, and biotin should be given in the body. Milk calcium is contained in curd, hard cheese. 1. To strengthen your hair daily, for one month, eat one teaspoon of raw pumpkin and sunflower seed 2 hours before sleep. 2. Drink tea from nettle leaves – 3 cups a day before meals for 1 month. This will strengthen the hair and make it shine. 3. Consuming sprouted wheat and sprouted soy strengthens bones and hair. 4. Eat apples. There are over 300 valuable biological substances in them. At the same time, rub in the roots of the hair a mash of grated apples for a week. Only wash with water. The result will be noticeable immediately after those 7 days. Hair becomes shiny. 5. Eat yogurt. Simultaneously wash your hair with it. 6. Eat walnuts and peanuts. 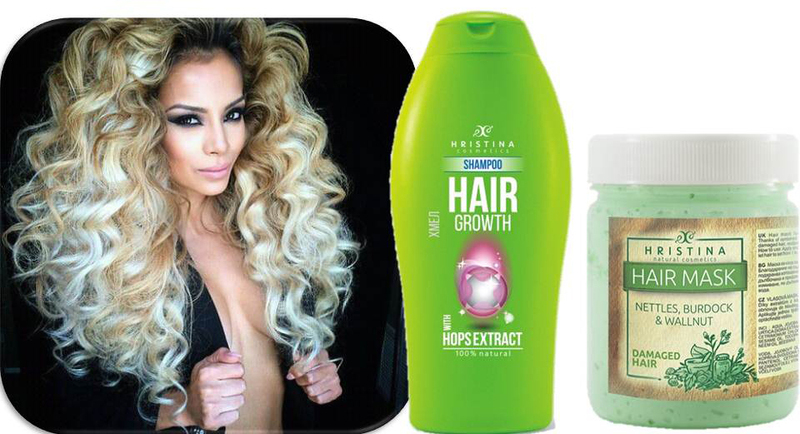 There are many substances that are useful for hair. Nuts are most useful in raw form, and even more useful if pre-soaked for several hours in water. Then they become dairy and “awaken” all the valuable vitamins contained in them. Modern and old recipes. The recipes listed below are borrowed from folk medicine, but contain ingredients to which you may have allergies. – Eat foods rich in iron – green leafy vegetables, meat and more. – Eat foods rich in protein – wheat germ, sunflower seed, lentils, yeast, fresh and yogurt, whole milk, green leafy vegetables, carrots, soy sprouts, mangoes, dried apricots, wholegrain foods. – Eat foods rich in vitamin A and iodine – carrots, spinach, cabbage, turnip, mustard, soy, peanuts and more. – Drink 1 tablespoon of apple cider vinegar dissolved in 1 cup of water for 1 week. – Drink a mixture of banana, honey and yogurt. – Drink daily lucerne juice and fresh spinach or fresh coriander. Your hair will quickly grow. – Drink half a liter of lettuce and spinach juice daily to increase hair growth. – To remove the deficiency of the honey element, drink carrot juice, lettuce and eat alfalfa sprouts. This is a good remedy against hair loss and hair coloring. – Green Tea (Camellia Sinesis) – 2 teaspoons of green tea are boiled with 300 ml of boiling water. Tea can be drunk every day several times and helps to restore hair. – Hair falls in the presence of stress and tension. So sedative teas also help to restore hair. For example, mix equal amounts of roots of valerian, horsetail, whip stalks and lavender flowers. Two tablespoons of the mixture cook for 10 minutes in 500 ml. water. Drink 1 cup of wine 3-4 times a day before eating. – Hair may fall due to folic acid deficiency in men. The best source is raw green vegetables – lettuce, spinach, peas, parsley, broccoli. Folic acid also has in the bread, liver, soft cheeses, citrus fruits, oatmeal, wheat germ. In some countries folic acid is used as a food additive in the manufacture of pasta. – Systemic ginger intake can improve blood circulation and thus restore hair growth. 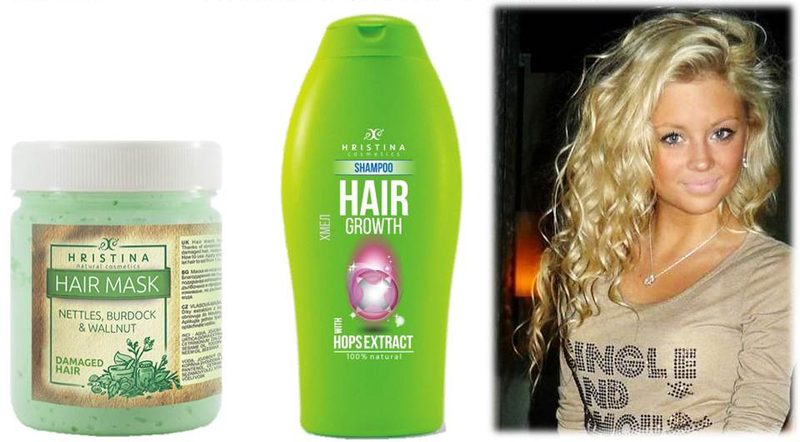 – Honey is a very useful tool against hair loss. It can be mixed with raw sesame and pectin and eaten a scoop before each meal. It is suitable for exfoliated hair masks.